Jonathan Rubinstein, former senior VP of Apple's iPod division, has been appointed the CEO of Palm after current chief Ed Colligan stepped down. Rubenstein has been appointed Chairman and CEO of the company from 12 June, after Colligan was in charge of the company for 16 years. However, after some time off Colligan will be moving upstairs to Palm's Elevation Partners, major financial backers of the company. Colligan leaves stating that: "[Palm has] pioneered two major product categories and I believe we are on our way to defining the standard for the mobile web", which may be a little over-enthusiastic but still shows that despite leading Palm close to the brink of extinction, the former chief has achieved something of a renaissance with the Pre. Rubenstein is enthusiastic about his new appointment, following two years at Palm as Executive Chairman. "I am very excited about taking on this expanded role at Palm," said Rubinstein. "Ed and I have worked very hard together the past two years, and I'm grateful to him for everything he's done to help set the company up for success. With Palm webOS we have 10-plus years of innovation ahead of us, and the Palm Pre is already one of the year's hottest new products. "Due in no small part to Ed's courageous leadership, we're in great shape to get Palm back to continuous growth, and we plan to keep the trajectory going upward." 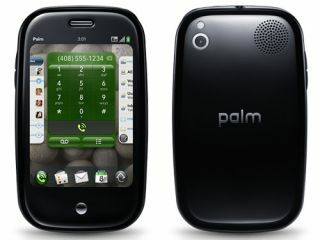 Palm is tipped to be releasing new products based on its webOS system later in the year, so Rubenstein will need to hit the ground running to maintain Palm's return to form.